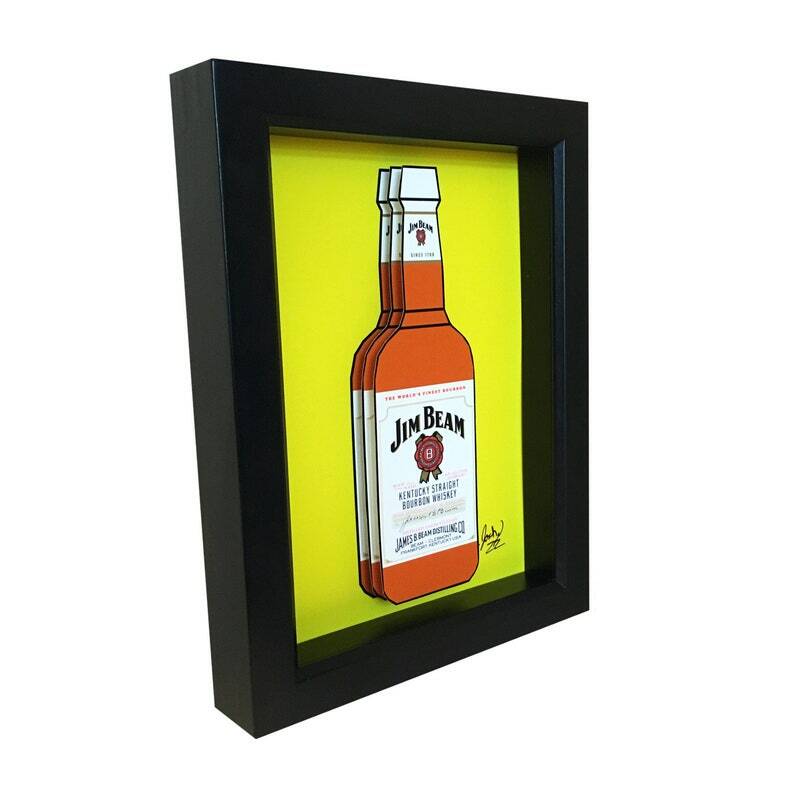 This Jim Beam 3D Art is inspired by the iconic Jim Beam Whiskey Bottles. The paper cut Jim Beam Bottle is layered in 3D. It’s the perfect piece of bar decor for the art lover in your life.